edited by Scott Abel and Rahel Bailie. 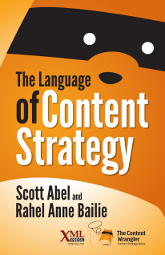 The Language of Content Strategy is the gateway to a language that describes the world of content strategy. With fifty-two contributors, all known for their depth of knowledge, this set of terms forms the core of an emerging profession and, as a result, helps shape the profession. The terminology spans a range of competencies with the broad area of content strategy. 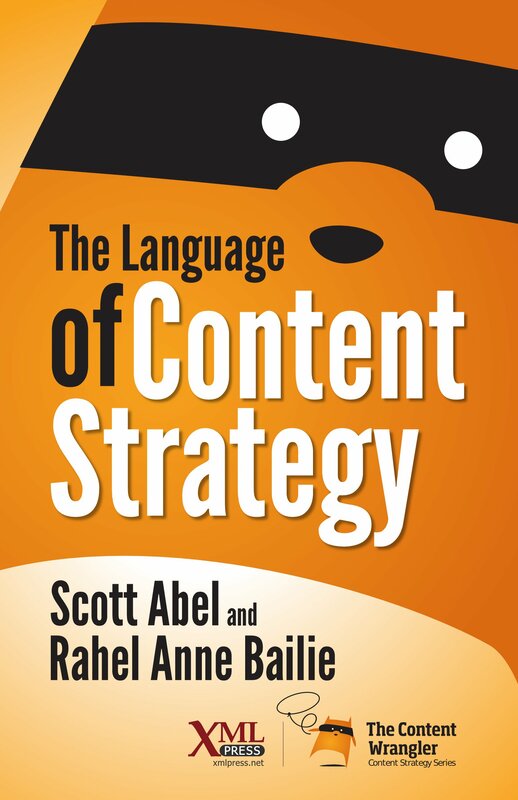 The Language of Content Strategy defines fifty-two terms that are central to the discipline of content strategy. Each term has been defined by an expert in that area, and each definition contains an essay that describes why that term is important. Terms are grouped into five categories: Core Concepts, Core Deliverables, Technical Concepts, Extended Deliverables, and Global Content. Workshops and the Intelligent Content Conference. Rahel Anne Bailie is an integrator of content strategy, requirements analysis, information architecture, and content management to increase ROI of product lifecycle content. She is also a supporter of content structure and standards. She is founder of Intentional Design, Fellow of STC, co-author of Content Strategy: Connecting the dots between business, brand, and benefits, and co-producer of Content Strategy Workshops. — Mark Fidelman, Forbes Columnist, CEO for Raynforest, Inc., and Managing Director, Evolve! The Language of Content Strategy website.